We pride ourselves in making the effort to get it right first time. If you’re at all unsure about an item of interest, let us know and we’ll be happy to help in any way we can. If you do end up with something that you’re unhappy with, simply return it within 14 days, in its original condition and packaging, and we’ll exchange it for something else or, if you’d prefer, give you a full refund less the postage. We Regret that for reasons of hygiene we cannot accept returns of in-ear earphone / headphone products if removed from original packaging. Items specially ordered that were not held in stock at time of order are subject to a 10% restocking fee. For those who prefer to place their order offline, you can contact our sales team, call: 0118 982 0402. (All calls will be charged at UK standard rates) we are also a retail outlet with a suite of demonstration showrooms available and knowledgable staff here to answer your questions. 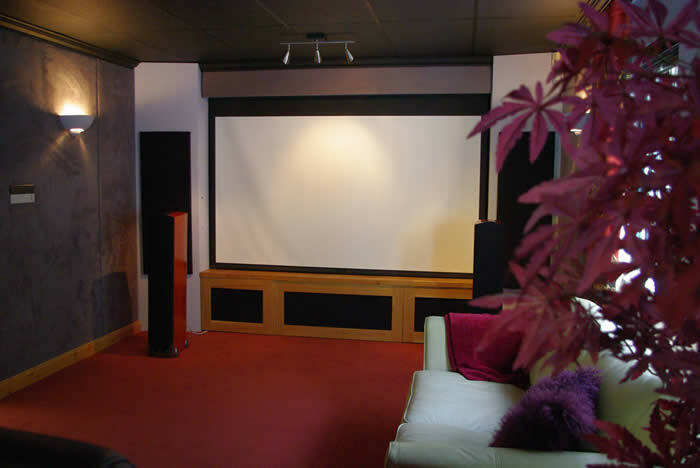 Many of the products and systems we sell are not available on line as they require professional installation and setup. 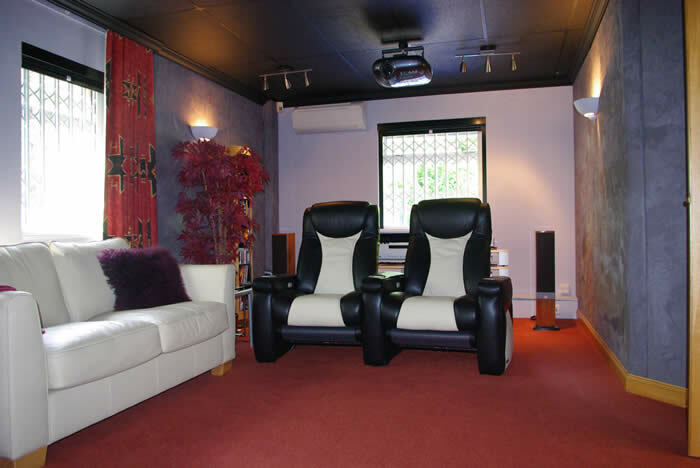 If you’d like to see what we do from our showrooms please click here. Yes, all prices shown throughout this website are inclusive of VAT at 20.0%. For EEC countries the VAT rate also applies, so there is no change to prices. For all other countries (export) UK VAT will automatically be deducted from your order total. DO YOUR PRODUCTS COME WITH GUARANTEES & WARRANTIES? Just the same as buying from our retail store, all our products are brand new, boxed and come with the manufacturers warranty. Most of the products in our store have 2 years warranty (and a minimum of at least 12 months), and this is backed up by our own 2 year warranty. We also have comprehensive engineering workshops for first line repair and maintenance, so we can often repair items without the need to return to the manufacturers. These are staffed by qualified electronics engineers with many years experience and training. No problem! We will deliver worldwide in just a few days. Simply order your items in the normal way and the system will calculate the delivery charges automatically. If you are outside the EU the VAT (20%) will be deducted. For all international shipments, we will give you an invoice with the correct total including the shipping cost and a tracking link so you can follow the progress of your delivery. We take the security of you and your credit card details very seriously. That’s why we use a secure server with state-of-the art encryption technology, for absolute peace of mind. We use Ogone as our payment gateway who are regularly assessed by Trustwave, the independent security scrutiniser. None of your credit card details are stored on our premises. As you may have gathered by now, we’re not a typical “stack ‘em high, sell it cheap” type of webstore. We take pride in providing equipment that’s a bit out of the ordinary, together with a genuine commitment to customer service. Many of the items we deal with are exclusive, and varying pricing isn’t an issue. On the more readily available lines, we’ve done our utmost to ensure that our prices are competitive. If you see anything we sell cheaper elsewhere, please let us know. We’ll match the price provided it’s a like for like comparison (i.e.. not a grey import or with different warranty or specifications). You must notify us within 14 days of purchase for this to apply. We are authorised Credit Card Merchants accepting; Visa, Mastercard, Switch, Delta, and Solo. Payment can also be made by bank transfer to the following account, please advise us when you’ve made the payment so we can process your order. A cookie is a small file that a website puts on your computer so that it can recall something about you in the future. These files normally contain information about your visit to a website, the information varies from a set of data about your browser, the journey you took within a website and sometimes volunteered details such as your name and location. We want to give our customers the best experience possible when browsing and shopping on our website. In order to do that, we sometimes need to store cookies on your computer. Cookies are NOT: dangerous; computer programs; or used to circulate viruses. How to opt-out of using cookies? You are always free to decline our cookies if your browser permits, but please be aware that some parts of our web site may not work properly for you if you do so. Click the settings button and then click ‘Internet Options’. In the ‘Browsing history’ section click ‘Delete’. Make sure the ‘Cookies’ box is ticked. You can also tick the boxes for other stored data you wish to delete. Make sure the ‘Cookies’ box is ticked. You can also tick the boxes for other stored data you wish to delete. (If you cannot see any tick boxes, click the arrow button labelled ‘Details’. Make sure the ‘Delete cookies and other site and plug-in data’ box is ticked. You can also tick the boxes for other stored data you wish to delete.